Dr. John Petrucelli is an award winning composer, saxophonist and educator. He has studied and performed with legendary members of the jazz tradition, including Geri Allen, Victor Lewis, Ralph Bowen, Charles Tolliver, Sean Jones, Delfeayo Marsalis, Conrad Herwig, Terence Blanchard, Lewis Porter and Stanley Cowell. 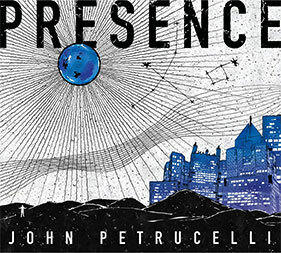 Petrucelli has released three critically acclaimed albums to date: Presence, Mischievous Minx and The Way. He holds a PhD in Music from University of Pittsburgh (2018), MA in Jazz History and Research from Rutgers University-Newark (2013), MM in Jazz Studies from Mason Gross School of the Arts (2012) and BA in Philosophy from University of Virginia (2010). Newly minted as the Director of Jazz at Northeastern State University, Petrucelli pursues a career which weaves together cutting edge academic research with a performance practice that explores the borders and boundaries of jazz, classical and electronic music.